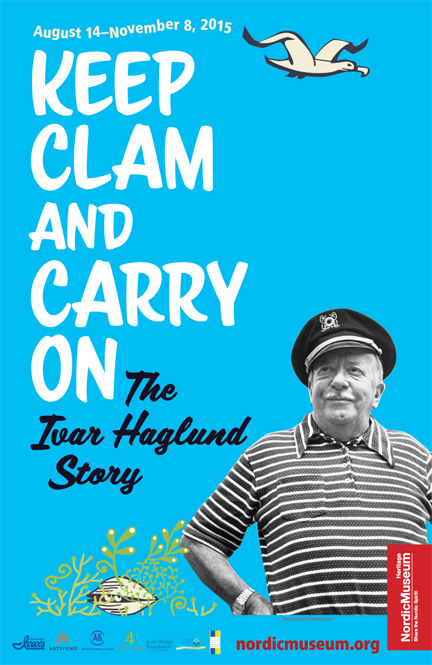 It’s First Thursday tonight, which means many art galleries and museums have free admission tonight, but one of the best ones may well be the one tonight at the Nordic Heritage Museum where you’ll be able to see “Keep Clam and Carry On: The Ivar Haglund Story,” a new exhibit about one of Seattle’s oldest hucksters. The exhibit will cover the life of this wonderfully wacky clam entrepreneur featuring lots of personal artifacts, sound recordings and other cool stuff. Not only that, but the museum will also have a performance by the Ballard High School Jazz Combo at 6 p.m. and craftmaking for kids and adults throughout the evening. So, if you want to take in First Thursday, but don’t like the hassle of looking for parking downtown, Keep Clam and head on over to Ballard where there are still a few parking spaces left. If you get there early. While late, this pormo will be going on till the end of December , and noting your fondness for ‘Ivars’ I thought this might be of some interest for you and your fans.